Eridania Basin, located at the head of Maadim Vallis, has mounting geomorphic and spectral evidence that it may have been the site of an ancient inland sea. This site presents interesting mineralogical and geological evidence for the past existence of a large aqueous system on Mars that could have been long lived, and may have been well suited for ancient life, and almost certainly contains important clues about the ancient climate. 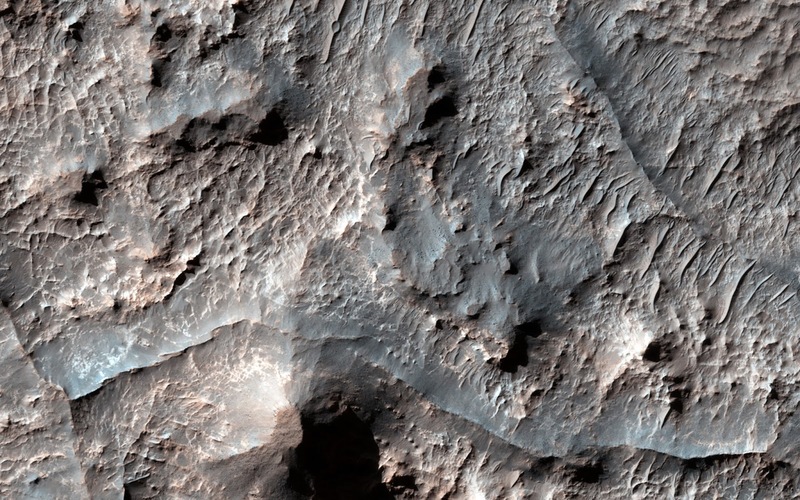 In this HiRISE image, there are numerous dark ridges against a brighter substrate. These ridges could be cemented and topographically inverted fractures, although other origins (such as eskers, channels, or volcanic dikes) cannot be ruled out. One way to produce these ridges would be when fluids moved through the fractures, causing cementation and hardening. Later, erosion removed the softer rocks surrounding the fractures, while the more resistant cemented materials within the fractures were left standing higher, thus appearing inverted. Note: For more information, see PIA18623: Ridges in Eridania Basin.